Vanessa Squishwitz first appeared in Battle of the Bards. 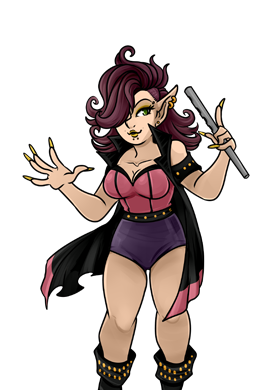 She is an Elf with a gravelly voice who used disguises to sing and perform. Vanessa was last seen leaving the competition after her band lost against Ziggy Ziggy in an E.X.P. fueled contest.